Let’s start at the top, with the shingles. This layer is the topmost barrier between your home and the elements, so shingles are generally made of sturdy materials that can take a lot of punishment. But if you notice that some of your shingles are missing, curling or even fading or changing in color, have them repaired by a certified roofer right away. Missing and curling shingles can lead to leaks, while discoloration can indicate that a leak is already present. Not only does this affect your home’s weather-proofing, but it also reduces its curb appeal. The most common issue gutters face is clogging due to accumulated debris. Bigger problems may need professional gutter repair, but this you can address yourself if you have the tools to do so safely. However, if you neglect regularly unclogging your gutters, the debris could pile up, which could lead to those much bigger problems. A clogged gutter will have a hard time draining water from your roof, which means that the water could gather in the gutter system, weighing the entire structure down, and eventually pulling the gutter away from your roof. If this happens, you will need to call your roof contractor for some help. Flashings are components of your roof that essentially seal the gaps between two areas of your roof. These could be intersections between the roof and a wall or the roof and a chimney. Flashings ensure any exposed openings are sealed shut, protecting your roof structure from leaks and exposure. Damaged flashings will lead to leaks. When you replace your roof, avoid reusing flashings. These are the trim of your roof eaves, and the underside of the eaves, respectively. The biggest issue affecting these structures is water damage, which could arise from a faulty gutter. A rotting fascia looks bad. But if it breaks off, the section of the house that is left unprotected could start getting damaged by the elements, including the water that originally damaged the fascia. This could also damage the soffit, which could lead to interior leaks and a space for pests to enter. Here at Pechacek’s General Contracting, LLC, we know how to check for issues throughout the entirety of your roofing system. 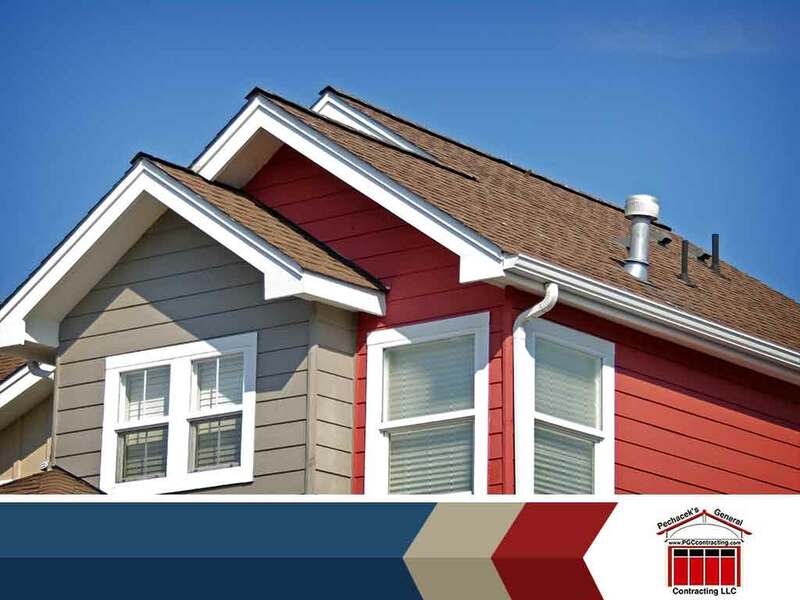 We can also assist you in other projects, such as siding restoration and the installation of new decks. Not sure if you have an issue? We can help you. Give us a call at (715) 502-2006, or fill up our contact form. We serve River Falls, WI, and the surrounding areas.